As the days progress, I’m finding it easier to gain the trust of more and more Vabbian nobles. Tomorrow I am supposed to check up on Prince Bokka the Magnificent and persuade him to help the sunspears, or at the very least oppose Varesh’s Kournan army. My friends Rajas, Alarion, and Aesir V., took a moment out of their luxurious afternoon in the Kodash Bazaar to explore the Mirror of Lyss with me. 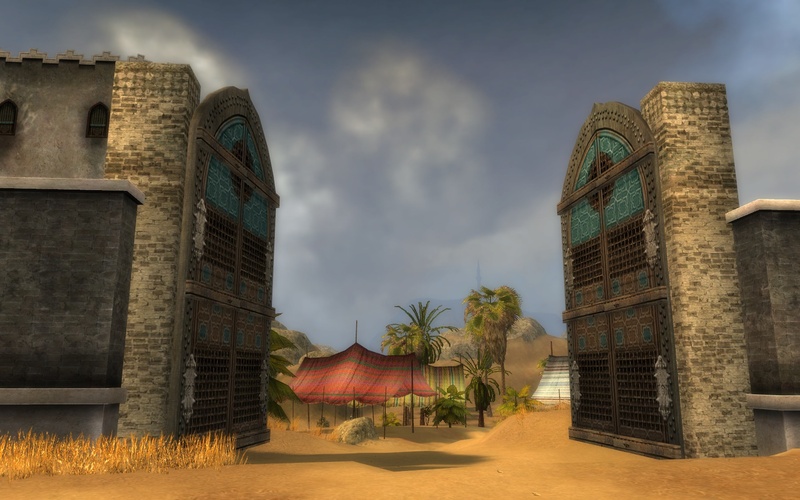 Right outside the city gates are a few tents where collectors or nobles can gather and enjoy the (safe) outdoors. I think even an aggressive Jahai Rat would send them running back inside the city. 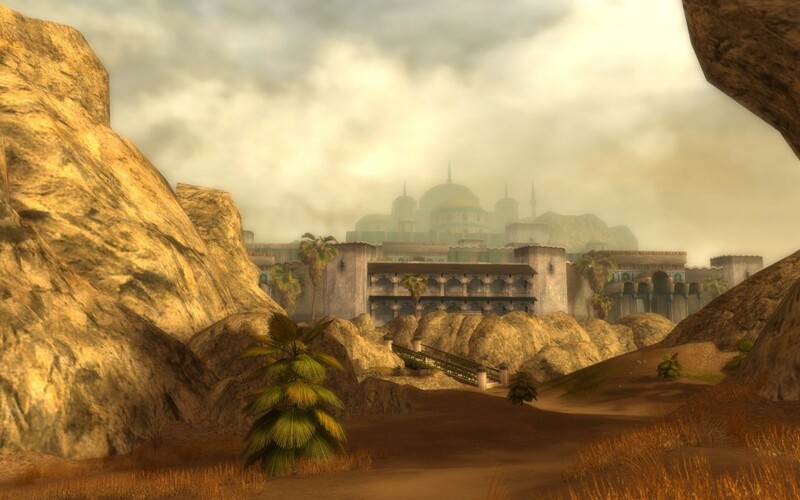 After the Festival of Lyss, I couldn’t wait to get back into the Garden of Seborhin. I had such a fun time meeting the princes and partying with nobles. It was fantastic up until the point the skree harpies crashed the party! Normally entry back into the garden is blocked, but our friend (and Prince Mehtu’s daughter) Tahlkora can go in whenever she likes. So as long as she is with us, the guards won’t kick us out. My old friends Rajas and Elwin were delighted to hear about this and were eager to see the sights along side me. Priestess Haila has accepted my invitation to attend the Festival of Lyss and speak with the princes. To be honest, I’m nervous about speaking with them. Usually when I am solving the problems of allied groups or nations, it doesn’t hinge on my ability to impress royalty with witty conversation. 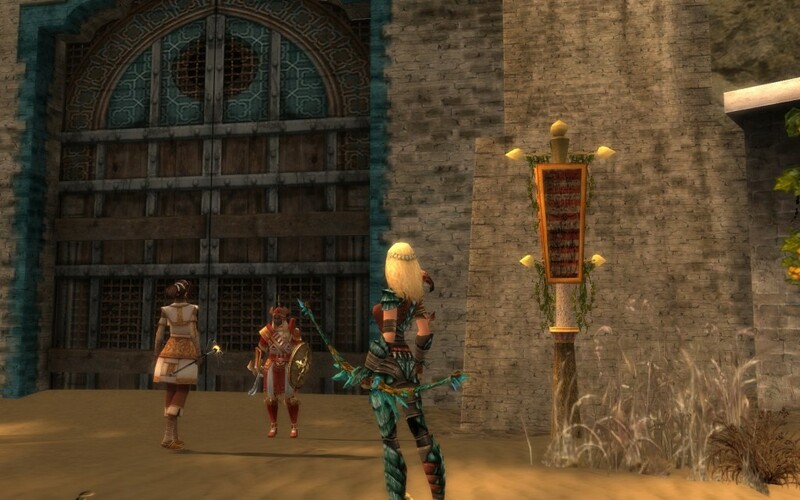 To calm my nerves, I decided to explore the Forum Highlands with my friends Alarion and Rajas. 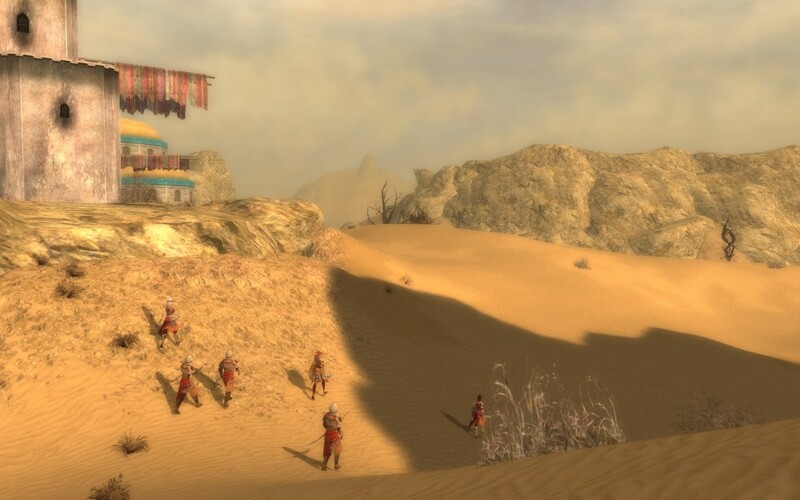 As we left from Tihark Orchard, we found several groups of Vabbian guards patrolling the outpost.